It's official another Call of Duty game is on its way as if we hadn't expected it. 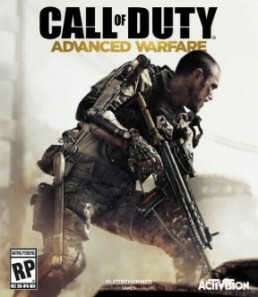 Activision pleased to present you Call of Duty Advance Warfare developed by sledge hammer games. Releasing a full 2 minute reveal trailer on their official twitter page yesterday , staring Kevin spacey as a potential antagonist or potentially protagonist in this year's action pack Call of Duty release. A Kevin Spacey Call of Duty pleases just take my money lol.November 4, 2014 is the date available on: Xbox 360, PlayStation 3, Xbox One, PlayStation 4, and PC. So what we can take from this is this and the trailer is this COD is taking place in plausible future where Kevin spacey playing John Irons is the president of PMCs trying to fight for democracy. Um... So yeah we’re fighting rebels while using hi–tech gear, sounds somewhat interesting. Can already see where this going. Either John Irons characters become a tyrant for power he kills you then credits and a sequel or he’ll have us attack and blow up a bunch of stuff to piss off the rebels killing their leader in the process then the sequel.Since it's the first entry very unlikely for multiple endings. So according to this we’re getting a Crysis type Nano suit thing and no mention of wall running hmm.. Ah but I see the nano gloves in the trailer wells that’s good enough I guess, too bad it's most likely a QTE single play sequence only. But Exoskeleton suit has really been a Crysis domain. Well if they bring something new it’s surely be worth checking out. But looking at the cover art it’s probably strictly for movement and has different grades as seen in the trailer. Amazon [Source] An Advanced Arsenal: "Harnessing the power of next-gen platforms, Call of Duty: Advanced Warfare brings players into the battlegrounds of the future by boasting a new hi-tech, advanced arsenal and ability set, arming players with all-new equipment, technology, perks, and vehicles like hoverbikes and highly specialized drones. Players can also choose between standard ammunition and an all-new class of directed-energy weaponry that enables totally new gameplay dynamics. And with exoskeletons delivering a massive force multiplier and unprecedented tactical freedom, Call of Duty: Advanced Warfare evolves every firefight." Meh Arsenal sounds like the generic weaponry descriptions. But three points that stands out is hover bikes most likely a single player only thing, just like the horses in Black ops 2 sad face:( Highly specialized drones which are obviously hints of overpowered new kill streaks similar to RC cars and dragon fire drone. Standard ammunition Directed – energy weaponry hmm.. Probably be Gauss rifles and laser rifles I guess. At this point nothing but speculation until we get to see an actual gameplay demo. All in all this Call of Duty announcement hasn't gotten me excited about Advanced Warfare, Simply because it doesn't showcase any action pumping sequence in the reveal. Though it does seem like they're trying to push COD into a new series, which is likely worth investing into. Probably wait for an E3 Eminem COD trailer to make it more hyped. But seriously I haven’t paid any attention to COD for the last few years and have been picking them up during sales/clearance. I have yet to play COD: Ghost but after an unpleasant experience on a Steam Free-weekend, I've avoided it ever since. Anyways what are your thoughts, reactions, and are excited about Call of Duty: Advance warfare? P.S. Steam is having an up 75% off Activision publisher weekend sale, maybe pick up COD game for 50% off. Hell Yeah Eminem COD trailer always gets me pumped for COD.But I always end up just getting a Battlefield game lol. There’s no mention of Advanced Anti-cheat so no day one buy. only treyarch COD get Eminem if I remember correctly.probably the only studio left that knows how to make a good COD game. They should call this one on PC at least Call of Duty: hacked warfare. A hi bird of Crysis and BLOPS 2 like come on, for I care if they had made a Call of Doggie: Avanced Waffles I’ll consider it. What they show in the reveal trailer is usually single player stuff. I rarely touch COD Single player and go straight to the MP maybe play through this one just to see Kevin Spacey in action. I like how the new COD title is very original, probably took two sec to come up with they just replace the world ‘Modern’ slapped it with ‘Advanced’. Ghost was terrible anything at this point is better than that. Why the hell is it only -33% on steam sale. The last best COD was BLOPs. Might pick this one just for Kevin Spacey. But yeah COD with Exoskeletons is like Crysis without Maximum Armour judging how exposed they look in the trailer.